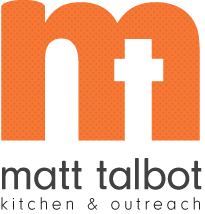 Matt Talbot Kitchen & Outreach appreciates and encourages food donations for the purpose of providing hunger relief in our community. Our policy is to accept, with gratitude, any food donation. However, we reserve the right to discard any donation, which may be potentially harmful to the guests, volunteers, and staff of MTKO. Thank you for your help with making sure our donated food is safe. If you have any questions, please contact Sydne at sydne.wirrick-knox@mtko.org or 402-817-0622.